I can't remember when I started this crochet project!? Was it Christmas time? I remember the wool was on sale, so maybe it was post Christmas/January sales? I could look back in my archives, but I wanted to quickly show my progress, because it's starting to look cute to boot! We've been watching the VERY intense Breaking Bad while I distract myself and multitask with crocheting these squares. 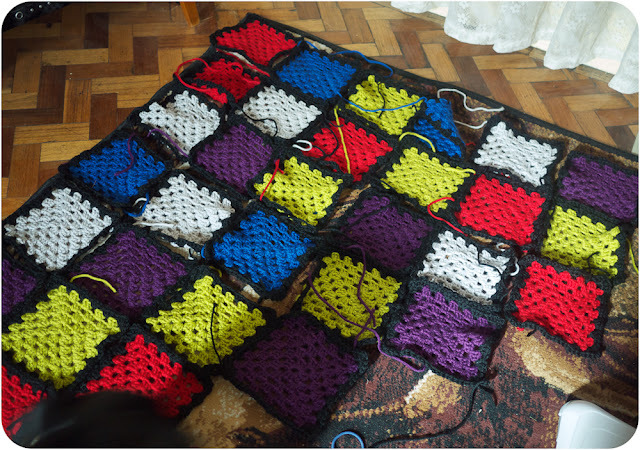 I finished the colour squares a little while ago, and have done the black edging all in the past 2 weeks. As it's super cold at night time, I'm DYING to have this finished, and am investigating online all the ways to join the squares up. I know there's heaps of different ways, and I've tried a couple, but am can't make up my mind what style I'd like for this one. To give you some perspective on the size, here's Doggie Darling, who honestly cannot resist being in my photos at the moment. Anytime I bring the camera out now, she's turning on the charm! My week has been quite busy, but I'm feeling quite organised. It's SO weird, as I'm working early hours again in my day job, so whilst it's awesome and I'm working with such delightful people each day, I've forgotten how weird and tired you can feel from using so much energy at the start of the day. You can kinda feel like an alien! 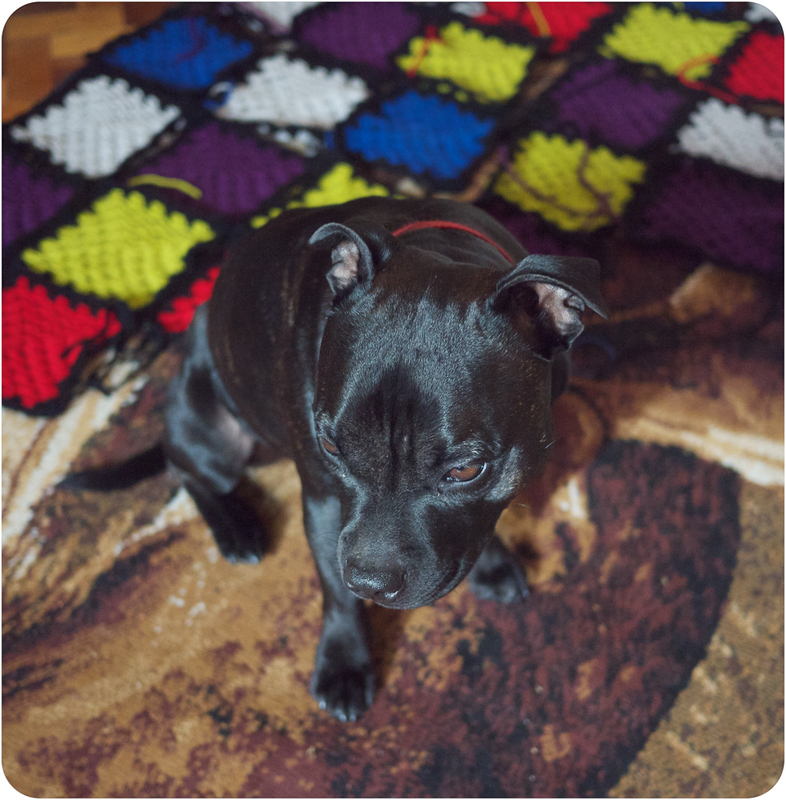 I really want to crochet a blanket for us! I have only managed to crochet granny square pillow cases so far so I need to move onto something bigger. Doggy darling should come teach Roxy to like the camera. She hates and photos and whenever you have a camera in your hand she refuses to look at you. It's looking great! I love the colors. There's something about a bunch of solid granny squares like yours that always reminds me of Tetris! Every time I lay out a blanket to take a photo of it, my dog thinks it is her cue to sit on it and pose, too. 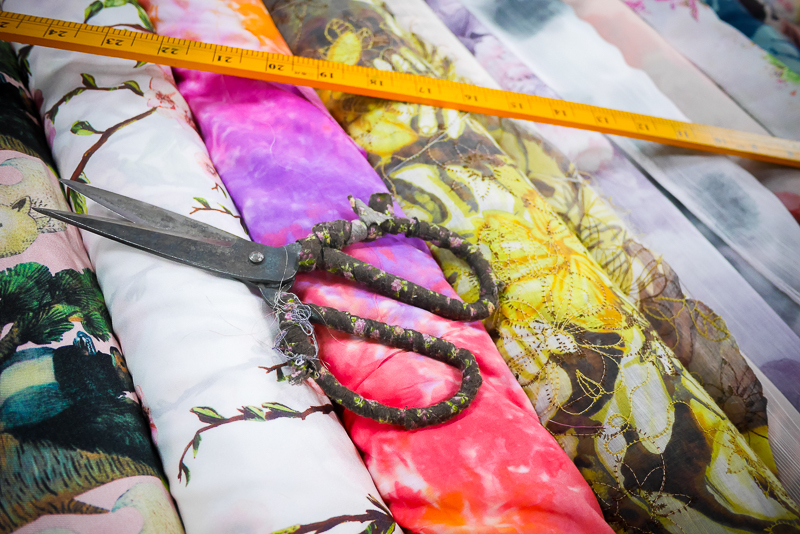 :) I have a tutorial on my blog for an easy way to join squares together that may help you. Sarah London has a great tutorial that I love! I can't wait to see the finished project!